The Kingdom of Thailand is a constitutional monarchy with the King as the head of state. The legal system of Thailand is a civil law system, based on codes, as opposed to a common law or case law system. The interpretation and application of laws by the Supreme Court of Thailand does not constitute precedent for other courts to follow; it is, however, very influential. Therefore, in practice intensive research into the decisions of the Supreme Court concerning particular issues is often necessary. The court system of Thailand comprises the Constitutional Court, the courts of justice, the administrative courts and the Military Court. The courts of justice, in general, have three levels: the courts of first instance, the courts of appeal and the Supreme Court. In the absence of alternative dispute resolution agreements, most infrastructure investment cases are subject to the administrative courts, which have jurisdiction over cases where one of the parties is a state official, administrative agency or entity appointed to perform administration. The administrative courts have two levels: the administrative courts of first instance and the Supreme Administrative Court. 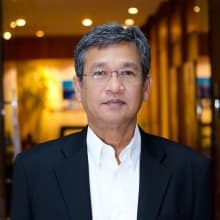 Following the coup by the National Council for Peace and Order (NCPO) in May 2014, national reforms, including legal and judicial reforms, have been implemented. Under the legal reforms, numerous laws and amendments, including amendments to the Civil Procedure Code, the Act on Establishment of Administrative Court and Administrative Court Procedure, several pieces of legislation on criminal procedure and anti-corruption laws have been enacted or are being considered by the National Legislative Assembly. The major amendments to the Civil Procedure Code include provisions for class action suits, changes to the judicial review procedure of the Supreme Court, electronic submission of pleadings, alternative means to the diplomatic channels for service of process on defendants and third parties outside Thailand, and execution of judgment. Civil procedure is governed by the Civil Procedure Code, which is based on an adversarial approach. Administrative court procedure under the administrative court system is governed by the Act on Establishment of Administrative Court and Administrative Court Procedure BE 2542 (1999). The administrative court system is basically an inquisitorial system. Procedural rules for some special courts, such as the Bankruptcy Court and the Intellectual Property and International Trade Court may be slightly different from those applied by other civil courts. There is no official English translation of the laws, but a number of versions produced by practising lawyers and scholars are available. Although the Office of the Council of State has recently published translations of some legislation on its website,2 they are marked as unofficial, and the original Thai texts remain the sole authority with legal force. A civil action is commenced by a person filing a complaint with a competent court when a dispute with regard to a personal right or obligation of the person arises. A person who wishes to exercise any legal right may also file a petition with a court. In 2015, the Civil Procedure Code has been amended to allow electronic storage of information subject to detailed regulations to be issued by the President of the Supreme Court under approval of the General Assembly of the Judges of the Supreme Court. Following the amendment, electronic litigation system is being developed by the Office of Judiciary. The system has been planned to comprise electronic database, filing system, hearing recording system, case file, courtroom and researchable database and case management system. The electronic filing system for filing of complaints and other pleadings have been officially launched and applicable at some courts located in Bangkok and its suburbs, and Chiang-mai province for specific kinds of cases including sale and purchase, lease, mortgage, pledge, guarantee, loan, hire-purchase and credit card. The service of complaint on a defendant is carried out by a court officer, unless the court orders otherwise. The plaintiff has to request, within seven days from the filing date, the court officer to deliver to the defendant a writ issued by the court ordering delivery of a copy of the complaint. The defendant is required to submit an answer, and may also file a counterclaim within 15 days from the date the writ is served or deemed to be served on the defendant. If a counterclaim is filed, the plaintiff is required to submit an answer to the counterclaim within 15 days from the date the counterclaim is served on the plaintiff. If the defendant fails to file an answer within the time specified by law, the plaintiff has to request the court within 15 days from that date to pass a default judgment that the plaintiff is a prevailing party. Otherwise, the law requires that the court strikes the case out of the list of cases. The court then has to specify the date of pretrial meeting and notify the parties 15 days in advance, unless the court deems pretrial is not necessary. The pretrial meeting is for the court to determine issues and to arrange the proceedings as to which issues should be heard in priority over others. The court is required to determine the first hearing date, which has to be appointed on a date at least 10 days from the pretrial meeting. There is no specific time frame or time limit for the court in conducting the hearings, but the court is required to conduct a continuous trial for a specified time until the presentation of evidence is completed. Because of the nature of the adversarial procedure in general, each party is required to submit, within seven days before the hearing date, a list of witnesses and evidence to which it intends to refer or the court is not allowed to admit that evidence or witnesses, unless the court deems it necessary to hear or accept that evidence or witnesses. During the procedure, commencing from when the court accepts the complaint, the plaintiff may request the court for an interim measure, which is available in the forms of a temporary prohibition order, a seizure of assets and confinement. The application of an interim measure before the filing of a complaint is available in certain situations. For example, the Arbitration Act BE 2545 (2002) allows a party to an arbitration agreement to request a court for an interim measure during or before the commencement of arbitral proceedings. However, the interim measure ceases to be in effect if the parties do not proceed to arbitration within 30 days from the date of the court order or the date specified by the court. The Act does not provide any special requirement for a party in requesting an interim measure before the filing of a complaint. Under the Act on Establishment of and Procedure for Intellectual Property and International Trade Court BE 2539 (1996), a person may also request a court to issue an order to seize or attach documents or materials before a complaint is filed, for the purpose of preservation of evidence. A decision of a court of first instance may be appealed to a court of appeal. Previously, the parties had the right to appeal against the decision of the court of appeal to the Supreme Court with certain limitations and conditions for appeal on questions of fact, and the Supreme Court had to accept the appeal if the specified conditions were satisfied. Now, the law provides that the judgment of the courts of appeal is final. The final judgment may be reviewed by the Supreme Court solely on petition for permission to appeal the judgment to the Supreme Court. The appealing party must file the petition together with the statement of appeal within one month after the date the final judgment is rendered by the court of appeal. The Supreme Court has discretion to grant or deny the petition in whole or in part. The same principle applies to both general courts and special courts. Special courts of appeal, established to handle appeals of cases from special courts, have been operating since 1 October 2016. Most time frames for the filing and submission of documents may be extended by a party submitting a request to the court for an extension; the court has discretion to grant an extension order based on the relevant provisions of law. e the plaintiff is qualified under the relevant regulations and the plaintiff, including the plaintiff’s lawyer, is able to pursue the proceedings to protect the right of the group sufficiently and equitably. According to the Requirements of the President of the Supreme Court issued under the relevant provisions of the Civil Procedure Code, if the complaint or the petition requesting a class action suit is found to be incorrect or lacks any substance, the court or court officer may give advice to the plaintiff for correction of such complaint or petition. In addition, the court has the authority to refine the scope of the group. The court can also divide the group into subgroups any time during the proceedings, but solely based on difference in characteristics of damage incurred among the group. Any member of the group can opt out of the class action within the date specified in the notice of court approval of the class action and bring their own lawsuit individually under the normal proceedings. Once the opt-out is made, that person would be barred from rejoining the class action. The class action law also promotes the roles of the court in fact-finding procedure, allowing the court to hear additional evidence that has not been obtained through the parties in the suit. The law also creates an incentive for lawyers to bring class action lawsuits and gather members of the group and facilitate injured persons with limited resources to engage in the legal process at the same time. It requires the court to grant a monetary award to the plaintiff’s lawyer based on how difficult the case is, the time spent and the performance of the lawyer, actual costs and expenses in addition to court fees, including damages entitled to the plaintiff and the group members at the rate not exceeding 30 per cent of the total damages awarded. The monetary award for the lawyer has higher seniority than damages owed to the plaintiff and the group members in the debt priority ranking. The law does not require that a party to civil litigation appoint an attorney. A natural person with full legal capacity, or a legal entity, through its authorised representative, may proceed with a case, or appoint an attorney or attorneys in all court proceedings. In general, pleadings and other documents can be served to a party either at his or her domicile (i.e., his or her principal residence or place of business). If the defendant is domiciled outside Thailand, Section 83 bis of the Civil Procedure Code provides that a copy of the complaint and a summons for appearance shall be served to his or her domicile in the foreign country. If the defendant operates a business in Thailand – either by him or herself or by an agent – the documents shall be served to the business place of the defendant or of the agent as the case may be. The parties can agree in writing that all pleadings and other documents to be served to the defendant are to be served on a designated person having a domicile in Thailand appointed to receive service of process. To serve to the defendant outside Thailand, the plaintiff has to request the court within seven days from the complaint filing date to arrange delivery of a copy of the complaint together with a summons to the defendant and provide a deposit for expenses in the amount and within the period determined by the court. The complaint, the summons and supporting documents must be translated into an official language of the destination country or the English language; and the translation must be certified. Previously, the documents had to be served through diplomatic channels conducted by the Ministry of Justice and the Ministry of Foreign Affairs unless other means of service are allowed by any applicable international agreement. Currently, Thailand has agreements on judicial cooperation with only five countries: Australia, China, Indonesia, South Korea and Spain. The amendment to the Civil Procedure Code in 2015, however, now provides alternative means to diplomatic channels for service on defendants and third parties outside Thailand. According to the Requirements of the President of the Supreme Court issued under the relevant provisions of the Civil Procedure Code, the court can order that a copy of the complaint and a summons for appearance be served by international express mail, by courier or through diplomatic channels. Any judgment or order obtained from a foreign court would not be enforced as such by the courts of Thailand, but such a judgment or order may, at the discretion of the court, be admitted as evidence in new proceedings instituted in a court in Thailand in which the court would judge the issue on the evidence before it. Thai law does not provide specifically for assistance with regard to lawsuits occurring in foreign countries. However, under the principle of reciprocity, the courts usually cooperate and provide assistance to foreign courts in particular for the service of process, issuing summonses and subpoenaing evidence, and the deposition of witnesses residing in Thailand. A request for assistance may be submitted to the Thai consulate or a responsible diplomatic representation in the country of litigation. The Ministry of Foreign Affairs and the Ministry of Justice will then forward the request to the court having jurisdiction in respect of the requested action. Currently, Thailand has agreements on judicial cooperation with only five countries: Australia, China, Indonesia, South Korea and Spain. Only the parties to the case are allowed to access court files. A third party having an interest may access court files by submitting a request to the court during an ongoing proceeding or post-judgment. If the case is conducted on a confidential basis or involves public interest, the court may not allow the access. There is no provision of law specifically governing litigation funding. Based on the past precedents of the Supreme Court of Thailand, litigation funding, especially where the funding provider has no interest and aims to receive benefit from such litigation, is considered as conflicting with public policy and good morals. An agreement for litigation funding is, therefore, void. Cases that can be brought to the administrative courts include (1) cases involving unlawful acts by administrative agencies or officials (such as ultra vires actions), (2) cases involving negligence of officials in their duty or performance of their duty with unreasonable delay, (3) cases involving administrative contracts (such as concession agreements), (4) cases involving wrongful acts and (5) other cases stipulated by relevant laws, such as enforcement of arbitration cases involving administrative contracts. The procedure may be commenced by a person filing a complaint with an administrative court having jurisdiction (as of 2016, there have been 11 regional administrative courts established and situated in different parts of Thailand). A copy of the complaint shall be delivered to the defendant and the defendant may file an answer. In such a case, the plaintiff is entitled to submit an objection to the answer, to which the defendant is also allowed to submit an additional answer. Then the court may determine whether the facts are sufficient for the court to review and render judgment and announce the end date of fact-finding. The parties may submit additional evidence and statements with the court before such an end date. On the first hearing date scheduled by the court, the parties may present their statements. The judge-commissioner of justice shall provide his or her personal opinion on the case, which has no binding effect. A party may appeal the decision of the administrative court of first instance to the Supreme Administrative Court within 30 days and this time limit cannot be extended. Under the Act on Establishment of Administrative Court and Administrative Court Procedure BE 2542 (1999), the mere filing of a case with the administrative court for revocation of a by-law or an administrative order does not constitute grounds for suspending the execution of the by-law or administrative order. However, the Act empowers the administrative court with discretion to order otherwise upon request of the plaintiff. The request may be made in the plaint or by submitting an application at any time before the court delivers a judgment or issues an order disposing of the case. In addition to the above, the Act also provides that the administrative court is empowered to prescribe provisional remedial measures or means in favour of the party concerned before delivery of judgment, upon request of the plaintiff. Such a request must be made before the delivery of a judgment or an order disposing of the case. Further, the Act allows the party in the case to submit an application to the court for an order prescribing a means for protection of the benefits of such party during the trial, or for the execution of a judgment. For execution of a judgment of the administrative court, previously, the Act on Establishment of Administrative Court and Administrative Court Procedure provided that execution can be conducted only after the case is final and no longer subject to appeal. The Act as amended in 2016 also allows the prevailing party to file a petition to the relevant administrative court to issue an order for execution of the judgment as the court deems appropriate, based on the regulations issued by the General Assembly of the Judges of the Supreme Administrative Court. The Lawyer Act BE 2528 (1985) and the Rules of the Lawyers Council on Lawyer’s Ethics BE 2529 (1986) govern the matter of conflicts of interest. Only lawyers who hold a licence to practise are required to comply with these laws and rules. Lawyers are not allowed to work for each of the opposing parties on the same matter. These laws and rules prohibit lawyers from assisting an opposing party of a client in particular by providing or using information obtained, either directly or indirectly, in the course of performing services or duties as a lawyer for the client. The Chinese walls concept does not exist in Thai law. A lawyer wishing to work for the opposing party of a client on the same matter must obtain approval from both parties. The Anti-Money Laundering Protection Act BE 2542 (1999) does not require a lawyer to report any suspicions of money laundering in the transactions of clients to the Anti-Money Laundering Office. However, under the Anti-Money Laundering Protection Act the authorities may address a written inquiry to, or summon, a person, or in this case a lawyer, to give a statement or furnish a written explanation or an account, document or evidence for the purpose of examination or consideration if money laundering is suspected. Although the Anti-Money Laundering Protection Act does not provide an exemption for lawyer–client privilege, it is disputable whether a lawyer can be forced to furnish information and documents in breach of lawyer–client privilege. In 2013, the Counter Terrorism Financing Act was promulgated. Under the Act, there are currently no requirements for lawyers to set out any ‘know your customer’ measures for the prevention of the financing of terrorism. a Official Information Act BE 2540 (1997): the Act prohibits a state agency from disclosing personal data in its control to other persons without prior consent in writing of the person who is the subject of the disclosure, unless a law requires such a disclosure, such as disclosure to court, state officials or agencies, disclosure necessary for the prevention or elimination of hazards to the life or health of persons, etc. b Criminal Code: unlawful disclosure may result in criminal punishment. Some professionals (i.e., doctors, pharmacists, nurses, priests, lawyers, auditors and assistants in the said professions) are prohibited from disclosing any confidential information of another person that is made known to them in the course of their occupation. c Civil Registration Act BE 2534 (1991): the Act allows only interested persons to review or make a copy of a civil registration. In particular, only the person whose profile or data is shown in such a civil registration may make a copy thereof. Section 17 of the Act prohibits disclosure of the data in the civil registration to any person except in the circumstances provided in the said Section. A lawyer seeking a copy of a person’s household registration must present to the Civil Registration Registrar a deed for the appointment of a lawyer indicating that he or she is authorised by a client to pursue legal proceedings against such a person. d Lawyer Act BE 2528 (1985) and Rules of the Lawyers Council on Lawyer’s Ethics BE 2529 (1986): a lawyer is not allowed to disclose confidential information of a client that comes into his or her knowledge in the course of performing his or her duties as a lawyer, unless consent is given by the client or the disclosure of such information is required by a court order. 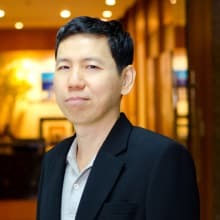 The attorney–client privilege may be found in certain laws that aim at protecting client confidentiality (i.e., the key principle of the legal privilege concept under Thai law revolves around the concept of confidentiality). c under Section 231(2) of the Criminal Procedure Code and Section 92(2) of the Civil Procedure Code, a lawyer is allowed to refuse disclosure, to a court in testimony, of any confidential document or information that he or she obtained through his or her position as a lawyer, unless the court deems there is no reasonable grounds for such a refusal. In the case of in-house legal counsel, the privilege also applies in the extent that information is obtained through his or her duty or position as a counsel. The counsel may also be subject to additional confidentiality requirements in an employment contract or organisation’s employment rules. However, the right to refuse disclosure in testimony does not apply and disclosure does not amount to a violation of the Rules on Lawyer’s Ethics unless the counsel is also appointed or acts as a lawyer representing the organisation in litigation or a court proceeding. If documentary evidence is in the possession of the opposing party or a third party, the party whose allegation has to rely on such evidence is entitled to file a petition requesting the court to issue a subpoena to compel production of the evidence by the opposing or third party. The issuance of a subpoena by the court is conditional upon whether the evidence in question is important and relevant to an issue in the case. Under Section 92 of the Civil Procedure Code, a party to the litigation or a witness may refuse to produce confidential official documents, information involving intellectual property or trade secrets, or a lawyer may refuse to produce material to protect a client’s confidentiality. However, the court has a power to summon such a person to appear before the court and give an explanation for not producing the requested evidence. If the court finds the explanation unreasonable, the court may order production of the evidence. Failure to comply with such a request would result in criminal punishment. The Electronic Transactions Act BE 2544 (2001) recognises that transactions in electronic form are binding and enforceable and prohibits courts from refusing to receive information generated by electronic means as evidence solely because of its electronic form. With respect to the production of electronically stored evidence, it is especially governed by the Regulations of the President of the Supreme Court Re Criteria for Adduction of Evidence and Examination of Witnesses Located Out of the Court by Video Conference BE 2556 (2013). A party can request the court to order the possessor to produce such evidence. The laws are silent on the production of documents in foreign jurisdictions. However, the court may request the assistance of foreign courts through the Ministry of Foreign Affairs. Thailand currently has agreements on judicial cooperation with only five countries: Australia, China, Indonesia, South Korea and Spain. Arbitration can be institutional or ad hoc depending on what the parties agree. 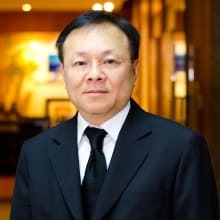 Most arbitration cases in Thailand are handled by the main arbitration institution, the Thai Arbitration Institution (TAI), under the Alternative Dispute Resolution Office, Office of the Judiciary. The TAI provides arbitration services under the TAI Rules of Arbitration. It also offers facilities and administration for ad hoc arbitration such as arbitration under the UNCITRAL Arbitration Rules, and arbitration conducted under the auspices of other institutions, such as the International Chamber of Commerce. In addition, recently, the Thailand Arbitration Center (THAC) was established under the Act of Arbitration Center BE 2550 (2007) as an independent agency to promote dispute resolution through arbitration. The aim is for THAC to become the centre of arbitration in the Association of Southeast Asian Nations (ASEAN) following the establishment of the ASEAN Economic Community in 2015. THAC provides arbitration services under the Arbitration Rules of THAC. THAC is also the first institution in Thailand to open an online dispute resolution service, provided through a system called TalkDD, to facilitate resolution of disputes arising from e-commerce transactions to be conducted under the THAC Rules on Online Dispute Resolution for E-Commerce Transactions BE 2558 (2015). Other institutions in Thailand that also provide arbitration services under their own set of rules include the Thai Chamber of Commerce and Board of Trade of Thailand and some specific institutions with established regimes typical of industry-specific arbitration procedures, examples of which include: the Thai General Insurance Association (for disputes between general insurance firms); the Office of Insurance Commission (for disputes in connection with insurance contracts, between insurers or insurance firms, insured parties and beneficiaries or interested parties in insurance contracts); the Department of Intellectual Property (for civil remedies for intellectual property infringement); and the Securities and Exchange Commission (for disputes between business operators or financial institutions and investors). The enforcement and enforceability of arbitral awards in Thailand is governed by the Arbitration Act BE 2545 (2002). Since Thailand is a party to the Convention on the Recognition and Enforcement of Foreign Arbitral Awards (New York, 1958), a court is required to enforce an arbitral award made in a signatory country of the convention. However, the Arbitration Act specifies circumstances in which an arbitral award may be set aside or a court may refuse to enforce an arbitral award, and which are in line with the UNCITRAL Model Law on International Commercial Arbitration. Those circumstances include issues regarding capacity to arbitrate, validity of arbitration agreement, improper notice of the appointment of arbitrators or the commencement of arbitration, scope of arbitration, compliance with the arbitration agreement (for example, number of arbitrators), non-arbitrable subject matter, finality of arbitral award, and conflict with public policy. The Act does not provide the courts with authority for a review on the merits of a decision. According to Section 42 of the Act, a request for the enforcement of an arbitral award can be made to the court having jurisdiction. Section 9 provides that the courts that have jurisdiction are the central or regional intellectual property and international trade courts, or the court in whose jurisdiction the arbitration takes place, or the court in whose jurisdiction either party is domiciled, or the court that has jurisdiction to consider the matters that are proposed to arbitrators. For an enforcement of an arbitral award the claims of which are based on an administrative contract, a request for the enforcement shall be submitted to the administrative court system. A jurisdictional question as to which court has jurisdiction over cases involving administrative contracts was finalised by the Adjudication Committee for Power and Duty of Court under Decision No. 4/2547. In Thailand, mediation is mostly done in courts after a lawsuit is filed, where the parties can immediately request the court to enforce the resulting settlement agreement without having to file a separate case for enforcement thereof. If the mediation is done out of court, the parties would be required to file a lawsuit with a court on the grounds of breach of contract to enforce their agreements, the validity and enforceability of which the court may need to review, along with how the agreement had been breached. The Regulations of the Judicial Administration Commission on Mediation BE 2544 (2001) as amended set the standard for mediation in court by tribunal judges and mediators, aiming to resolve court congestion and delay in proceedings. Under the Regulations, mediation may be conducted by (one or more) judges, judicial service officers or any third parties. In appointing mediators, the court has to consider the satisfaction of the parties involved and suitability. Upon appointment, the mediator is required to disclose any conflict of interest to the parties. A person may register with the court for listing as a mediator if the following qualifications are satisfied: (1) to have knowledge of an area such as science, economics, law and social science; (2) to be at least 25 years old; (3) not to be a judicial service officer; (4) to have no negative reputation; (5) not to be an incompetent person, or quasi-incompetent person; and (6) never to have been subject to a final judgment of imprisonment, except for negligence or a misdemeanour. The regulations also set the standard of conduct for mediators, and that a mediator shall not have the authority to consider or decide any issue unless the parties agree otherwise. Instead, a mediator is required to assist the parties in negotiating and provide guidance for dispute resolution. In other words, the major role of the mediator is to conciliate and mediate between the parties to reach mutually agreed resolution. There are no rules obliging parties to mediate; however, Thai courts, especially the Labour Court, usually encourage parties to consider and enter into a mediation process before commencing formal proceedings and a trial. If the mediation is not successful, judges sometimes encourage parties to mediate during the trial and act unofficially as a mediator. Currently, every court in Thailand including provincial and municipal courts has its own mediation centre to facilitate parties in mediation. In addition, the Alternative Dispute Resolution Office, a formal body established by the Office of the Judiciary was set up in BE 2533 (1990) to encourage and provide facilities and services for alternative dispute resolution. In particular, an arbitration service is provided through the TAI (see Section VI.i, supra) and a mediation service is provided through the Mediation Centre under the Rules on Out-of-Court Mediation. The Rules encourages the parties to mediate before commencing a formal court procedure, or at any time during an ongoing court proceedings. The appointed mediator, who can act in a mediation procedure under the Rules on Out-of-Court Mediation, shall have to be agreed by the parties. The mediator can also perform in the role of arbitrator if the parties agree. 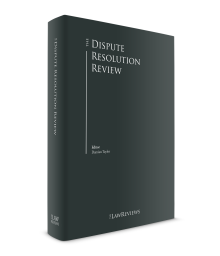 In addition to arbitration and mediation, the parties may resolve a dispute by any means or in any form that they wish. For example, there are commercial contracts that specify dispute resolution by expert determination. However, since any adopted procedure other than arbitration would have no binding effect, the parties are allowed and may commence or continue litigation if such a resolution process is unsuccessful. Currently, numerous draft laws and amendments have been proposed and are pending review by the legislative entities. Following the referendum on the draft Constitution held in August 2016, the draft was amended and finally officially publicised on 6 April 2017. It is expected that general elections will be held in late 2018. 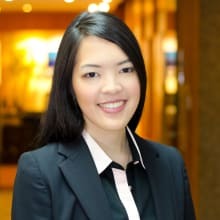 1 Lersak Kancvalskul, Prechaya Ebrahim and Wanchai Yiamsamatha are partners and Oranat Chantara-opakorn is an associate at LS Horizon Limited.